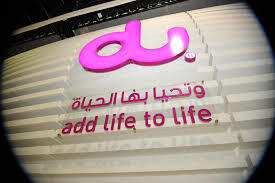 WiFi UAE has had close to 1.5 million sessions per month, with a quarter of a million users in August alone, according to the telecom operator, du. Almost half of the sessions which is 44 percent, lasted between 11 and 30 minutes, while 32 percent lasted between 6 and 10 minutes, making social interaction the most popular online activity amongst the UAE’s residents, it said. Of the online activities, You Tube garnered the highest data consumption with 37 percent, Facebook was the second most popular social app with 17 percent, while WhatsApp stood at 3.1 percent, Instagram 2.6 percent and Snapchat 2.4 percent, accounting for the least data consumption. “By laying the foundations that support the leadership’s vision of a wholly connected smart city infrastructure, we are empowering the people with Internet connectivity. With around 1.5 million Wi-Fi sessions across our 334 active sites is a feat to be proud of. Our aim for the future is to create a network of interconnectivity between people and things for seamless smart city integration,” said Jihad Tayara, Vice President Business Development and Partnerships, du. By the end of this year, WiFi UAE expects to enable WiFi connectivity in more than 350 locations. The service offers users two types of Internet connection. There is Wifi UAE, a free WiFi service with high speed access to government websites, and WiFi UAE Premium, an affordable paid service that allows users unrestricted upload and download speed. DisplayNote Technologies Add DELL to their Roster of OEM Partners.